Did you know that Aluzinc® is reflecting sunlight indoors? Vendée Habitat is an organisation dedicated to providing affordable social housing in the Vendée department of south-west of France. As well as constructing rental housing, Vendée Habitat also provides property improvement and maintenance services, and manages the rental and sale of properties. To date, Vendée Habitat has constructed the equivalent of 16,000 housing units. The organisation’s headquarters are located in La Roche-sur-Yon, the capital of Vendée. In 2009, Vendée Habitat completed the construction of a new building to house its offices in the town. The new headquarters provides Vendée Habitat with 4,700 square metres of offices and meeting spaces for its 200 staff. 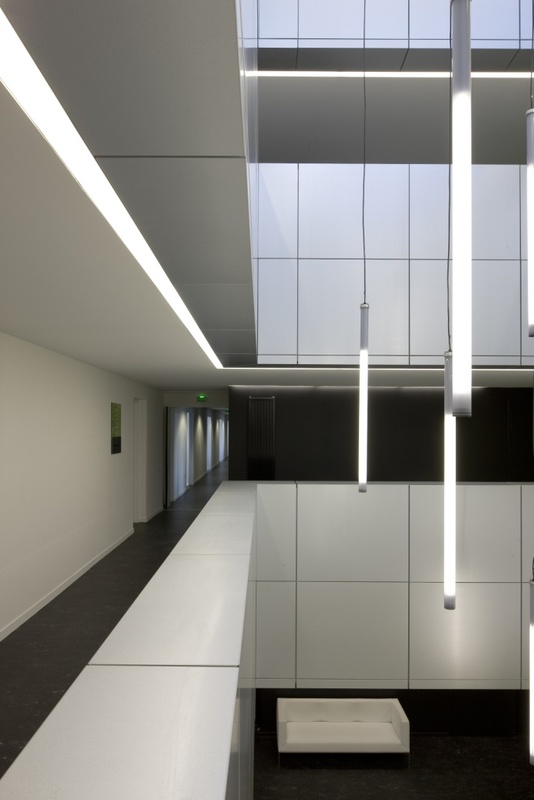 Bertrand Pourrier of ABP Architectes led the design of the new building. Using modern materials such as ArcelorMittal’s Aluzinc®, Pourrier has created a building which is classical yet contemporary and which fits perfectly into one of France’s most beautiful and green landscapes. 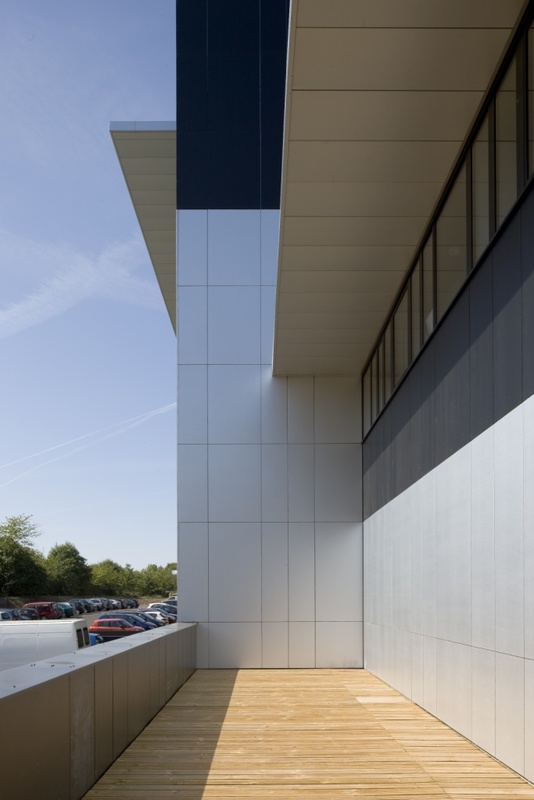 Aluzinc® was used primarily on the exterior of the building to complement and relieve the Eternit fibre-cement cladding. Aluzinc® was also applied to the walls of the stairwells and the interior of the central atrium. The 16.2 m2 atrium is central to the design of the building with meeting rooms, relaxation areas, stairs and lifts located around its perimeter. The spangled coating of Aluzinc® ensures that as much light as possible is reflected around these areas, making them warm and inviting spaces. Movable walls ensure the spaces can be opened up and combined to create larger areas for functions and events for up to 250 people. Sunscreens were added to the western end of the building to stop the afternoon sun heating the building. 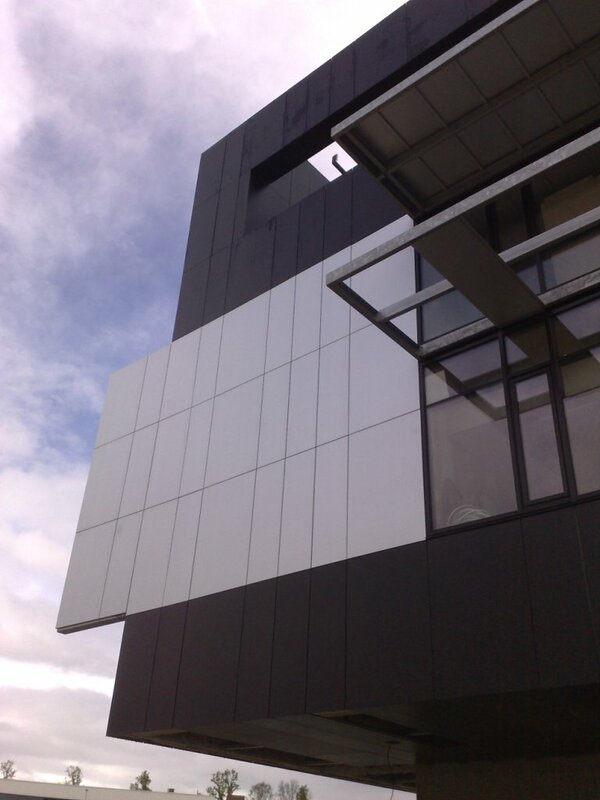 Unusually, the screens were clad on one side with Aluzinc® to ensure that light would still be reflected inside. 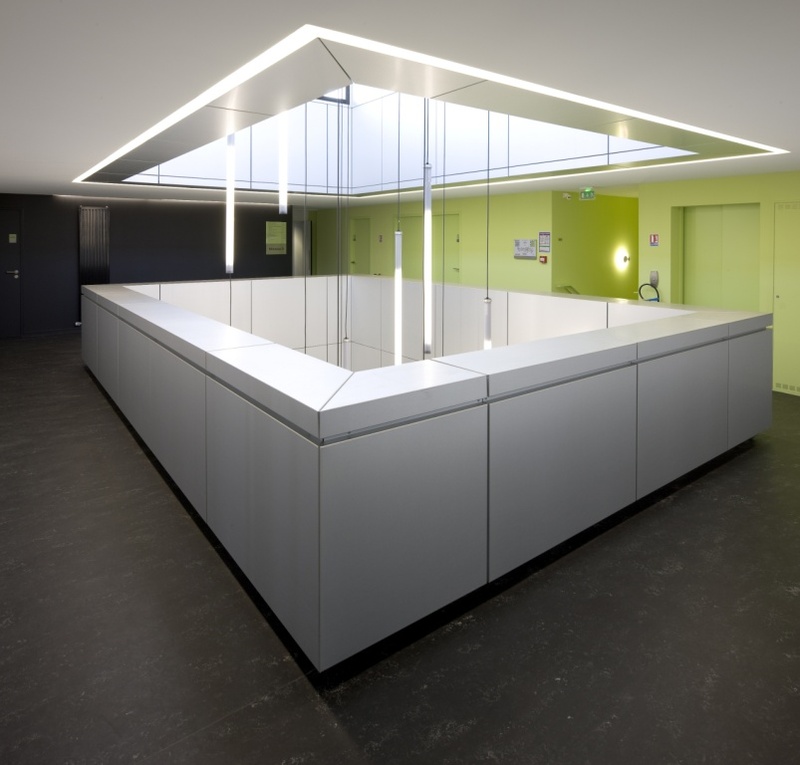 More than 900 m2 of Aluzinc® was utilised throughout the building, mainly in the form of cassettes. “Aluzinc® was selected because of its aesthetics and durability,” explains architect Bertrand Pourrier. With its 25-year guarantee, Aluzinc® will ensure the Vendée Habitat headquarters will continue to shine for many years to come!